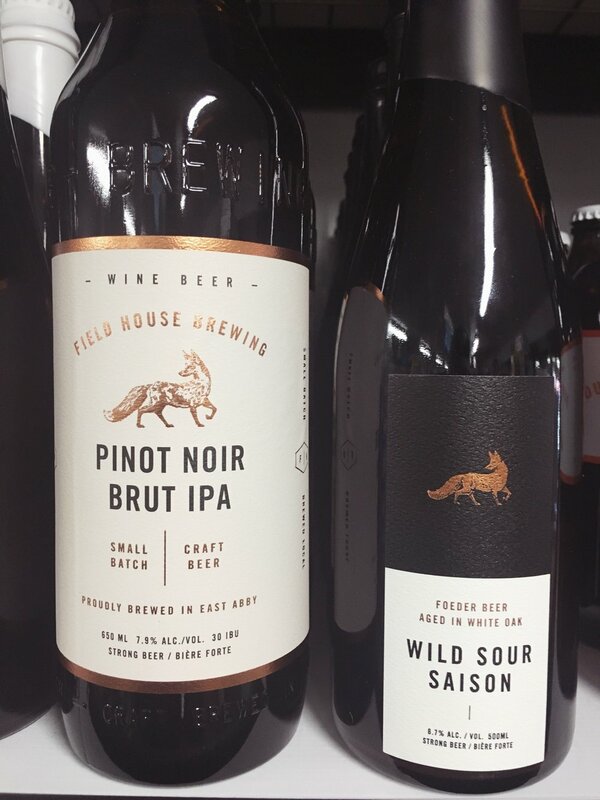 Field House Pinot Noir Brut IPA... AND MORE new beer! Field House has been KILLING IT this summer with brews that unite craft beer and WINE in style... so here's another one: The Pinot Noir Brut IPA. Brut IPA's are SUPER trendy right now, with the style popping up all over the place, and now Field House is in on the fun with a wine twist! We've also received their Wild Sour Saison, a beer in celebration of their 2nd anniversary! This is the first beer we've ever received that's a collaboration between a brewery (Phantom) and a PIZZA PLACE (Virtuous Pie). Phantom used the pizza flour from Virtuous Pie while brewing to make this a super hazy and bright IPA. Huge amounts of El Dorado hops are the source of the pineapple aroma. This beer should settle the debate about whether or not pineapple and pizza go together. 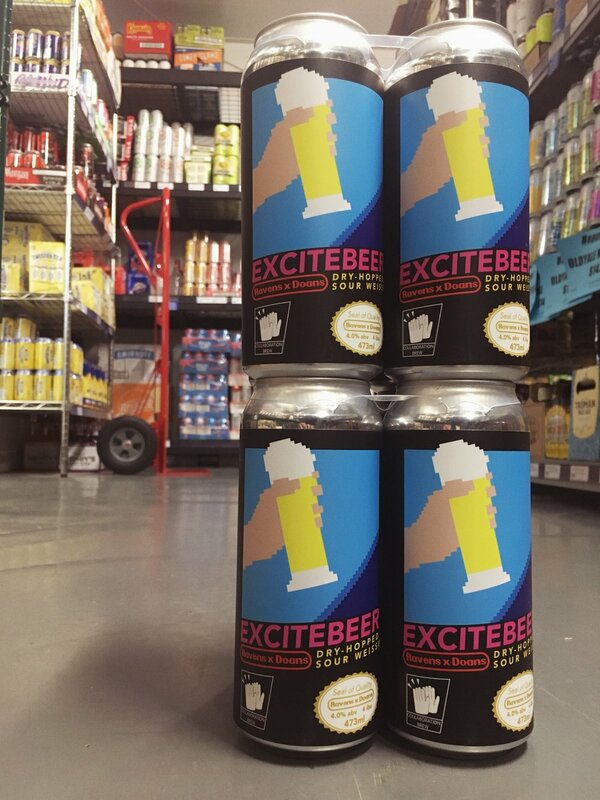 Complete with Nintendo 64 throwback cans, Excitebeer sounds like it's perfect for summer. This dry-hopped sour weisse comes in at just 4% ABV, with lightly-soured lemony-citric fruit sharpness adding to this totally crushable brew. Pick up a 4 pack and fire up the N-64! We've had all three of these brews from Bridge previously, but they were all so good that we had to bring them back! So whether you've had them in the past and would like to revisit, or they're new to you... try them out! Can I interest you in some CHOWDAH? An old favourite has returned! Last summer we fell in love with "Hop Chowdah"... the New England-style Hazy IPA from Cannery Brewing in Penticton. Well, it's back and better than ever. Hop Chowdah is a BIG bomb of flavour. The juicy, tropical fruit flavours of Amarillo and Mosaic hops are balanced out with the bitterness that we all love in an IPA, creating a truly crushable brew. BONUS: Cannery did a rebranding on this one, and the new 4pk of tall cans features one of the most... unique... labels we've seen in a while. Come on in and check it out Hop Chowdah in our fridge!! 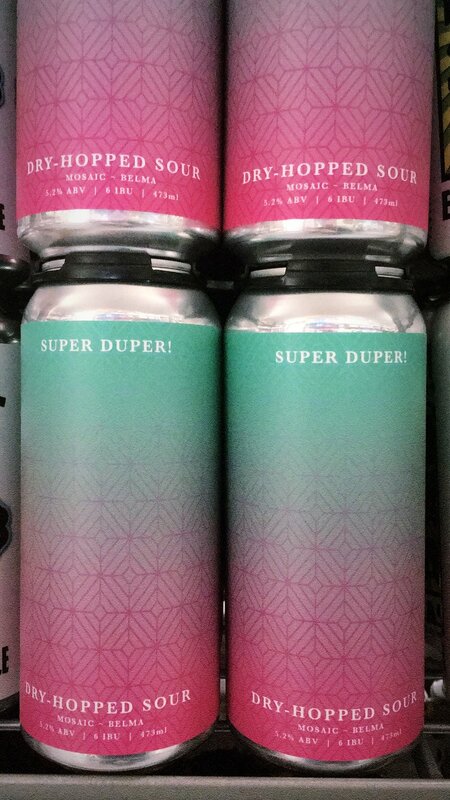 Just in time for Canada Day... SUPER DUPER! Powell Street Brewing has blessed us with another summer brew! SUPER DUPER! This dry-hopped sour is billed as being full of fruity deliciousness... with notes of blueberry, strawberry, tropical fruit, melon, citrus and candy! Plus if you're one to judge a book by it's cover... the cans are pretty neat. Grab a four pack for Canada Day Long Weekend... AND, while you're at it, check out all the deals in our Canada Day flyer! Hop on over to the FLYER section of our website for more details about the flyer! Today is the longest day of the year AND the official first day of summer! So you know what that means... the perfect excuse to indulge in all the new summer craft beers that our store has to offer! And we have A LOT to offer right now. Seriously... it took hours to find room on our shelves for all this new stuff. But we did it, and the craft beer shelf is literally so full that it might collapse. Here's the rundown on all our new products! As we've said on the blog before, Hazy IPA's are THE thing right now. And this one might be one of the better ones we've come across. One of Danica's Top 3 from Vancouver Craft Beer Week a while back... we finally got it in store! Dreamboat is a fruity-hoppy-flavour-delight of a beer with major points for crushability. That's right... THREE brand new brews from our neighbors down the road in Abbotsford. Field House is constantly upping the bar for creativity with their beer, and these three are no exception. Some crazy styles that nobody else is attempting... including their Chardonnay Farmhouse which is being described as "Wine Beer". Plus if you haven't been to their tasting room... you should seriously check it out. Have the duck tacos. You're welcome. These are our first two beers from Spectrum Beer Co. and the first impression has been GREAT. Their website describes their beer as "beer for people who don't think they like beer", but it's definitely beer for people who like beer too! Keep up with the blog for updates on all new products! Well, it's finally happened. The summer heat has hit. And lucky for you, our craft beer shelves are more full than ever with new things just WAITING to be sampled in the sun!! If it was any more full, shelves would start collapsing (and we know this from experience). That's right, we finally have some Fieldhouse 4 packs back in stock, and we still love their 500ml stubby bottles! Fieldhouse is SO popular here in the valley that it's tough to keep their stuff in on the shelves, but right now we have some fresh Dutch Pale Ale AND Sour Wheat Gose. Deschutes is one of the big breweries south of the border, and we have four of their brews in stock right now! The popular classics Mirror Pond Pale Ale and Fresh Squeezed IPA are joined by two new six packs: Twilight Summer Ale and their Passionfruit IPA. Stay cool, drink craft beer. A brand new collaboration brew from two of our favourites... Ravens and Yellow Dog! This one is sure to be gone quickly, so get your hands on it while you can. Sports Day is a sour IPA with tangerine... yes you heard that right... sounds crushable. Phantom is kind of a mysterious brewery, but Phantom No. 1 was delicious and juicy so we're expecting big things from Mindfuzz! 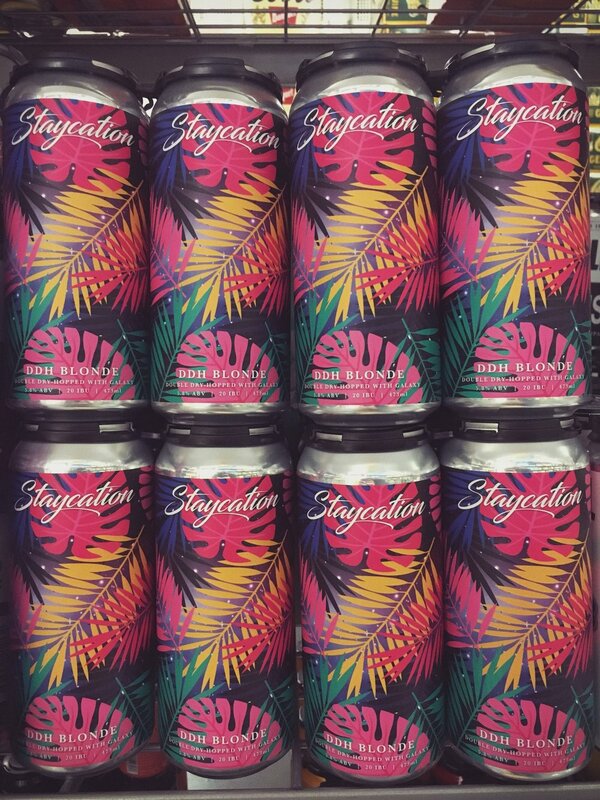 4-packs of tall cans are now in the cooler! 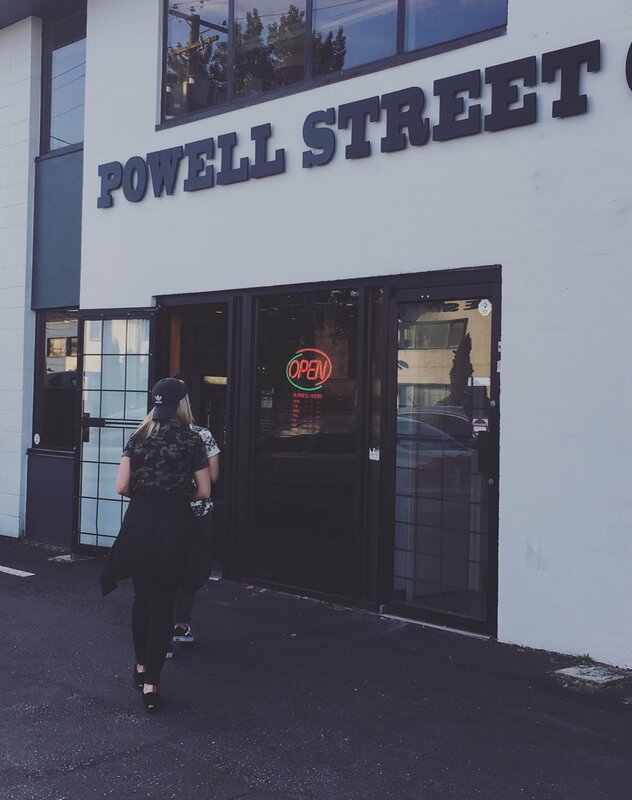 A couple posts back we wrote about our experience at Powell Street's tasting room and how much we love their beers! Check out their new DDH Blonde... Staycation! An old favourite has returned... Complete with a new label. Last year's version of this delicious sour was super popular... so welcome back, Rook! Grab a couple bombers of this one before it's gone! Our store receives brews from all over the province all the time, but living in Chilliwack means being an hour or two away from the majority of BC's beloved craft breweries. So when the opportunity arises to visit a tasting room in the Greater Vancouver Area... obviously, I take it. This weekend was one of those opportunities; The place of interest was Powell Street Brewing, and I was not disappointed! Powell Street has a quaint little tasting room in the heart of East Van on, you guessed it, Powell Street. If you're looking to do some brewery hopping, this is a great area to be since Callister, Storm, Strathcona, Parallel 49, Off the Rail, Doans, Strange Fellows and Bomber (just to name a few) are all just a few blocks away. We've had a TON of people requesting Powell's beer at the store recently after their Old Jalopy Pale Ale won gold at the World Beer Cup, but that definitely doesn't mean that their other brews aren't worth checking out. In fact, the one I would like to highlight is a personal fave: Lazy D'Haze IPA. The Hazy/East Coast IPA style has really taken off in the last year, with most breweries now boasting their own take on the variety... and Powell's interpretation is one of the better ones I've had. Lazy D'Haze pours a BRIGHT orange-yellow and right off the bat you're hit with a beautiful, fruity aroma. The first sip is a punch to the taste buds with huge grapefruit and orange flavours, but despite this being a flavour BOMB it is majorly crushable. We've got it in stock right now!